It seems more and more people are creating full scale paper models from video games. 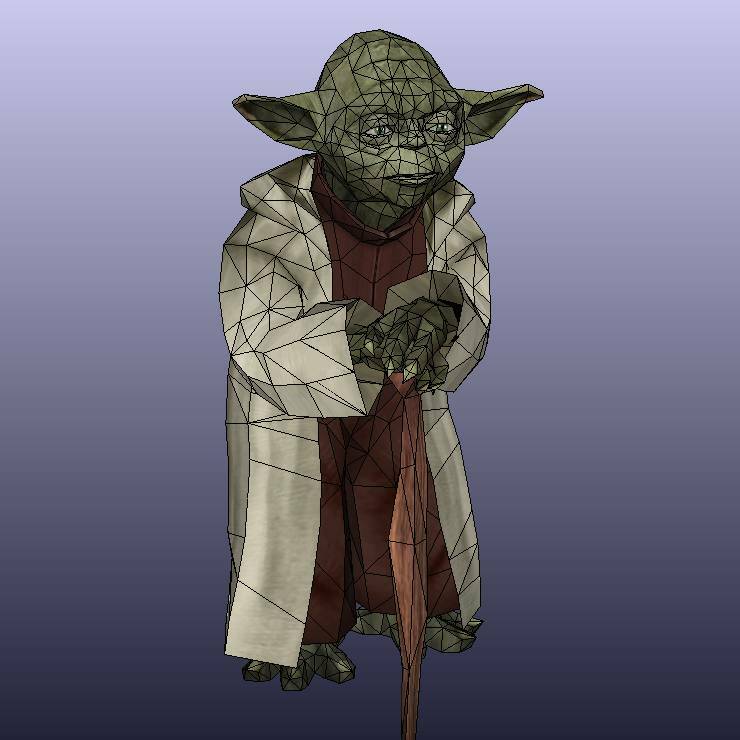 This life size papercraft of Master Yoda by Noturno Sukhoi is based on a 3D model from the Star Wars: Battlefront II video game. The character Yoda (as we all know ^^) first appeared in Star Wars Episode V: The Empire Strikes Back. The finished model stands 23.6" (60 cm) tall. The template for the model is available in Pepakura PDO format only and may be downloaded here. I can't wait to get a look at this one. I hope it's done well enough that I will enjoy assembling it. is there any way you could reformat it to 8.5x11 (letter) paper size? Unfortunately, the original designer of the papercraft has locked the PDO, so it is not possible to reformat the paper size to letter. You should still be able to print to letter size paper if you choose the "fit to page" option when printing. It will only change the scale of the finished model slightly. I am just guessing at your problem, but did you extract the Pepakura .pdo files from the .rar file first? Pepakura can't open .rar files. I agree. It is annoying when people don't take time to edit the 3D models they extract from video games before converting them to papercraft templates. For that reason, I always make sure I take the time to do the proper editing before I release my own video game papercraft. I haven't built this particular model myself, but my suggestion would be to build the robe and arms separately, attach the arms where you can reasonably, then trim away any portions of the arms at the point where they intersect the robe. You can see approximately where the cuts will need to be if you look closely at the PDO. can someone help me im having trouble connecting the eyeball to his eyelid. coz theres 2 tabs on his eye yet two spaces on his lids? it doesnt show where those tabs are connected. anyone? thanks in advance. Ok, I unrared the files and when I try to open the PDO files in Pepakura I am getting the popup box asking for a password. Is there a password set on these files or am I missing something? The PDO file can only be opened with Pepakura Viewer. Yeah, you are right. The password wasn't there originally. I will see if I can find an alternate link. Thanks. The link above has been redirected. There should be no password now. Has anyone finished this yet? I'm about done with mine and I'm not sure the best way to attach it all together. Meaning connecting the arms, legs, head. It seems it would be very "unstable" I was thinking maybe a wire hanger to help hold its shape. You might try contacting that person. This Yoda papercraft is recommended for experienced papercrafters only. 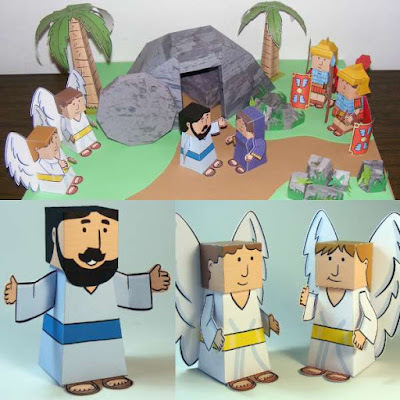 If this is your first papercraft build, you may want to practice on some easier projects first. no i am a very experience papercrafter first time i saw it, it looked easy to me. anyways thanks for your help and very nice website. This will look awesome!! Thanks! I was browsing on Tektonten Papercraft and found a file of a full size Yoda that I would like to build for my 6 yr old grandson. The problem is that when I open it in Pepakura Designer, it indicates that it is password protected and can only be viewed in Pep Viewer. Is that still so or is there a file that does not require a password.